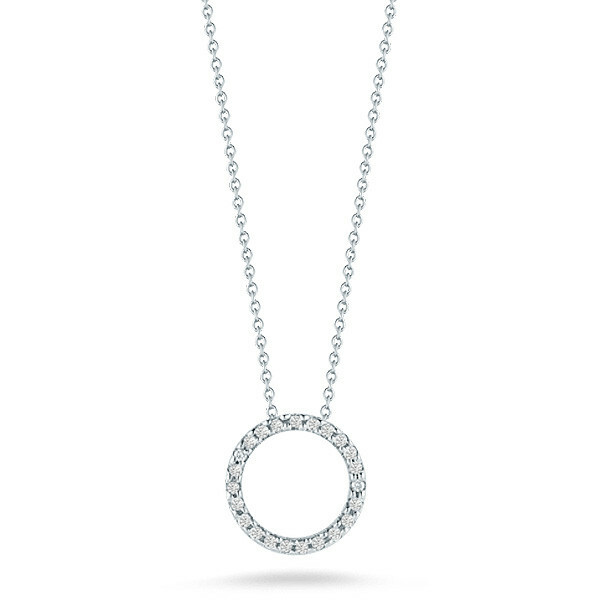 Turn to this fabulous Roberto Coin circle necklace from the Tiny Treasures collection when you are looking for simple elegance. 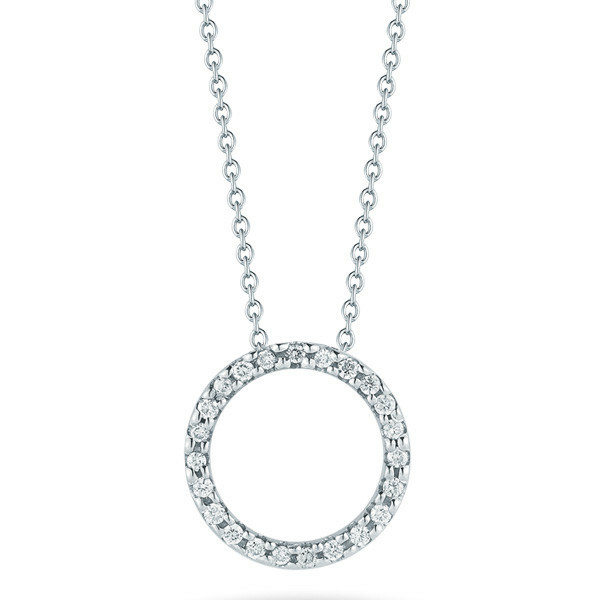 Representing eternity, this perfect circle is fashioned in luscious 18kt white gold and enhanced with white diamonds. The white gold chain, that adjusts from 16" to 18" in length, allows this charm to float elegantly. 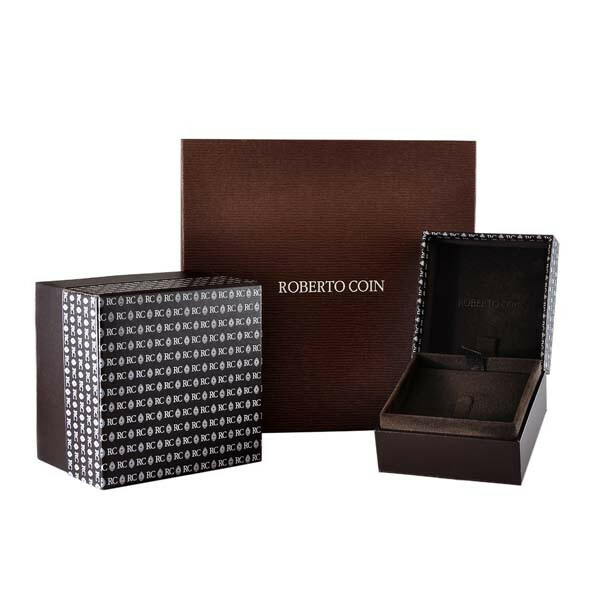 Roberto Coin makes it easy to accessorize with a little touch of class!